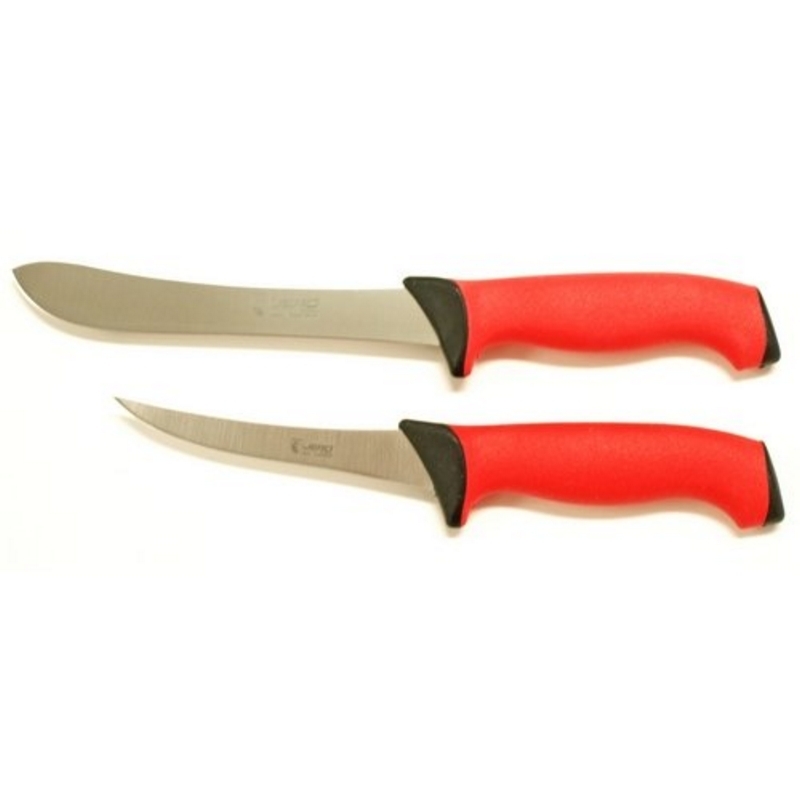 Blade Material: X55CrMo14 Stainless Steel - same steel used by many of the well-known German knife manufacturers. Blades are heat treated and tempered to form a quality blade with a hardness of around 55 HRC. Each blade is sharpened to one of the sharpest production edges of any of the lines we sell. Included in the set: 7" (18cm) Narrow Blade Butcher (works for skinning, trimming and slicing) and 5" (13cm) stiff curved boning knife (works well for trimming, slicing and boning).